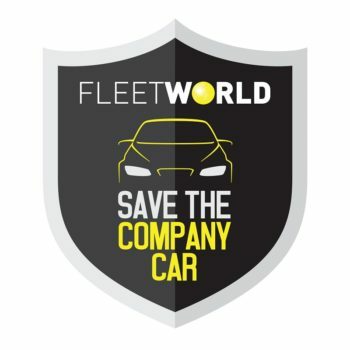 Fleet World is inviting drivers, operators and decision-makers to have their say about the future of the company car sector, launching a petition to help raise Government awareness of the problems facing the industry. The petition runs alongside Fleet World’s campaign to save the company car, which launched in July arguing that the industry needs a clear direction of travel with regards to taxation, incentives and clean air zones to avoid further decline. HMRC data shows 940,000 taxpayers paid a benefit on a company car in 2016/17, while the latest BVRLA Quarterly Leasing Statistics suggest 465,000 jobs are supported by the wider rental and leasing industry. Only a fraction of those people need to sign the survey before it must be responded to, or debated. Your support also reflects an industry united behind this cause. Advance notice of Benefit-in-Kind bands: Fleets need these at least four years in advance to avoid unexpected tax burdens later on. Bands through to 2022/23 are required during the 2018 Autumn Budget, including adjustments for higher WLTP CO2 figures. Tax adjustments for NEDC Correlated figures: Tax bands which account for the inconsistency of NEDC Correlated figures compared to ‘true’ NEDC data are needed during the 2018 Autumn Budget, and should be implemented in April 2019. Don’t over-tax diesel engines: Blanket tax rises for diesel engines are affecting businesses who still rely on this fuel, without considering whether the alternatives are always cleaner. We urge Government to withdraw the one percentage point rise in Benefit-in-Kind for diesel cars introduced earlier this year, at least until RDE2 testing is commonplace. Bring forward ULEV tax incentives: It makes no sense to delay low tax bands for ULEVs until April 2020, potentially pricing fleets out of technology that can save money and support the Government’s air quality ambitions. The 2018 Autumn Budget is an opportunity to bring these forward a year and consider incorporating the Plug-in Car Grant within a vehicle’s P11d value. Advisory Fuel Rates for ULEVs are needed now: Fleets are early adopters for the newest technology, so it is vital that AFRs for plug-in hybrids are published as soon as possible, to help businesses deploy this technology more easily, and ensure it is used correctly. Set out a national air quality framework: Setting out a consistent national framework for clean air zones, developed in consultation with authorities, fleets, and the automotive industry, will help stakeholders understand longer-term aims and plan ahead.